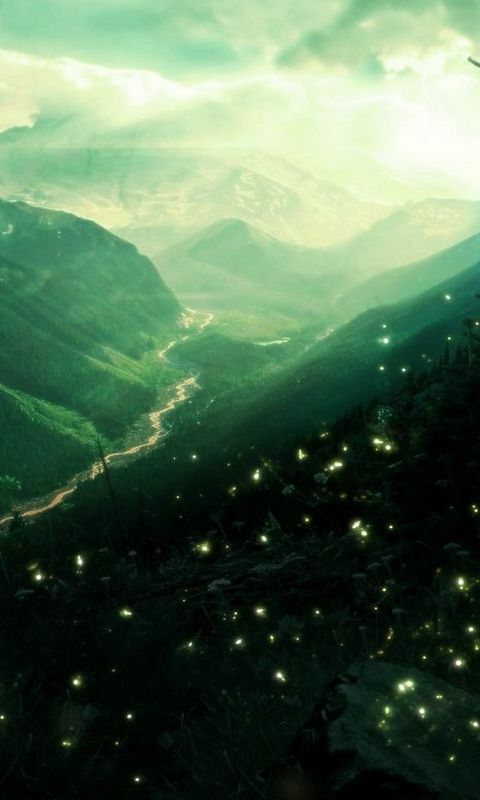 Fireflies Wallpaper HD Live, inspired by new LG G3 smoke background with floating particles. "Lampyridae is a family of insects in the beetle order Coleoptera. They are winged beetles, and commonly called fireflies or lightning bugs for their conspicuous crepuscular use of bioluminescence to attract mates or prey. 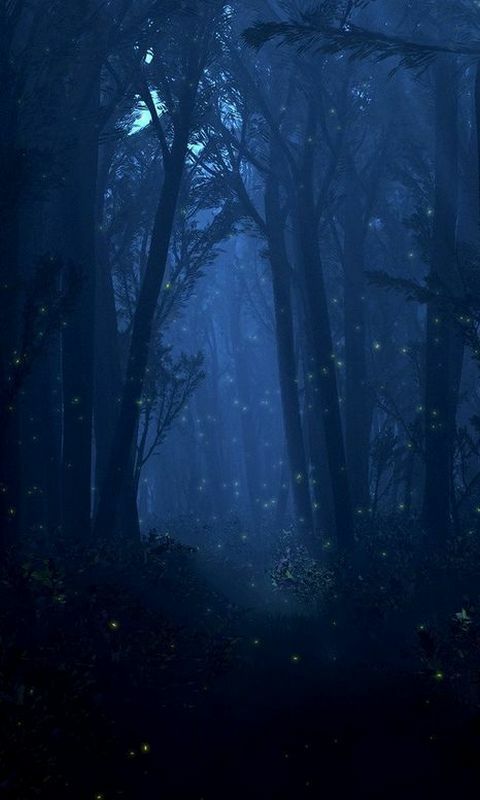 Fireflies produce a ""cold light"", with no infrared or ultraviolet frequencies. This chemically produced light from the lower abdomen may be yellow, green, or pale red, with wavelengths from 510 to 670 nanometers. 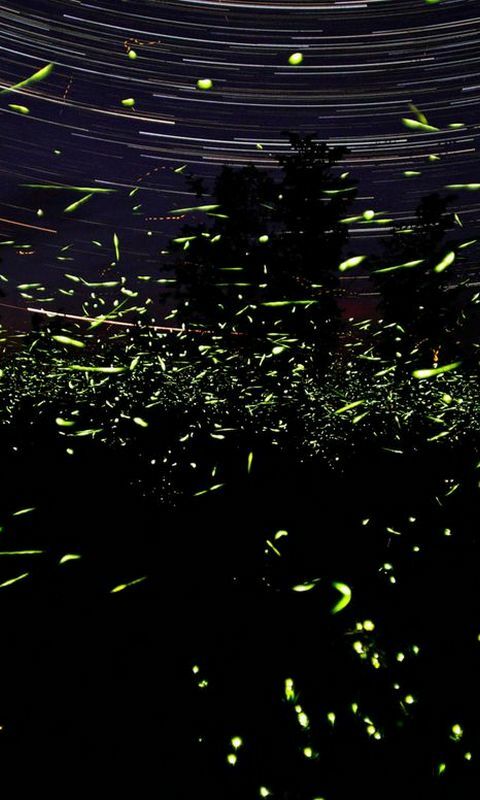 About 2,000 species of firefly are found in temperate and tropical environments. Many are in marshes or in wet, wooded areas where their larvae have abundant sources of food. These larvae emit light and often are called ""glowworms"", in particular, in Eurasia. In the Americas, ""glow worm"" also refers to the related Phengodidae. 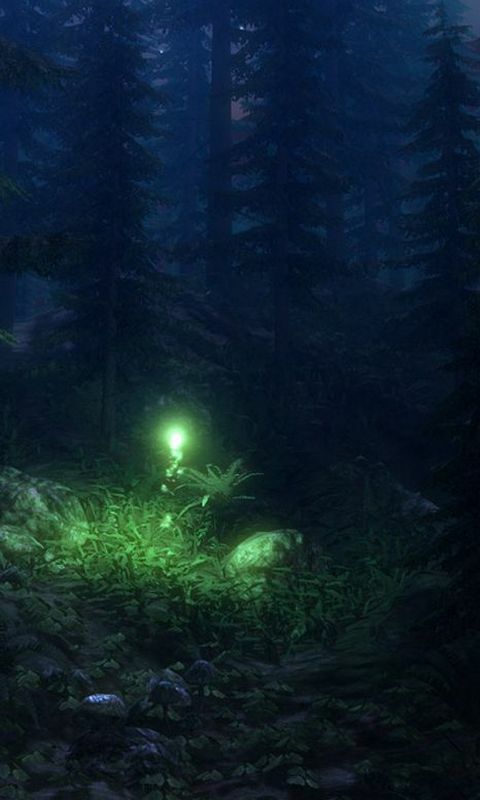 In many species, both male and female fireflies have the ability to fly, but in some species, the females are flightless "